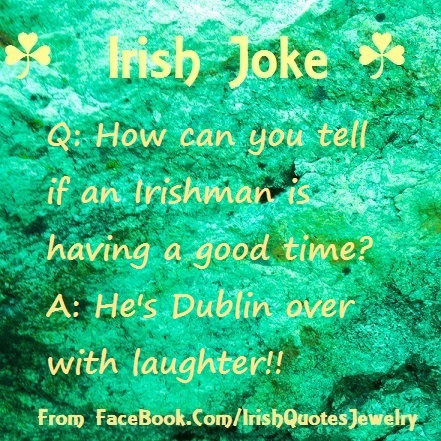 Irish Humor Quotes | Troy C. Wagstaff aka CallahanWriter Blog: Topics of interest include Western Historical (1865-1899) Topics. Additionally inspirational Christian and Fibromyalgia interests. 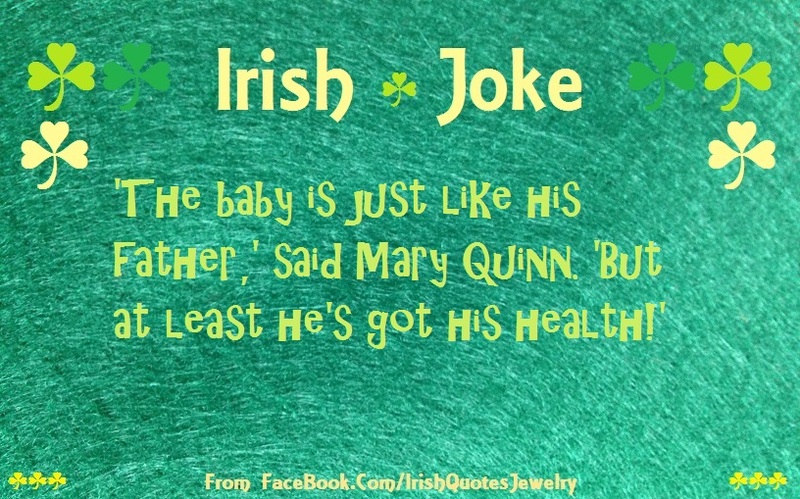 The baby is just like his father said Mary Quinn, But at least he’s got his health. 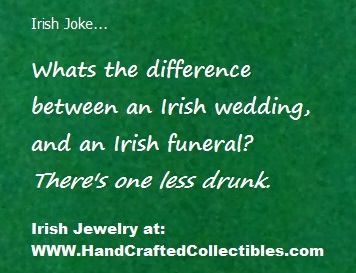 What’s the difference between an Irish wedding and an Irish funeral? There’s one less drunk. 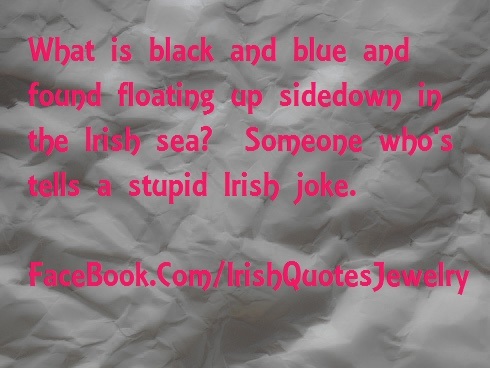 What is black and blue and found floating up side down in the Irish sea? 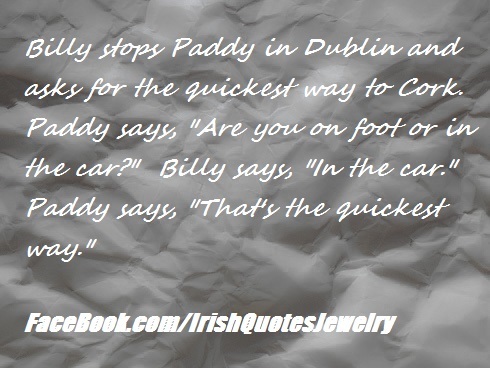 Someone who tells a stupid Irish joke. Paddy and mick were nailing up the side of a wooden house. 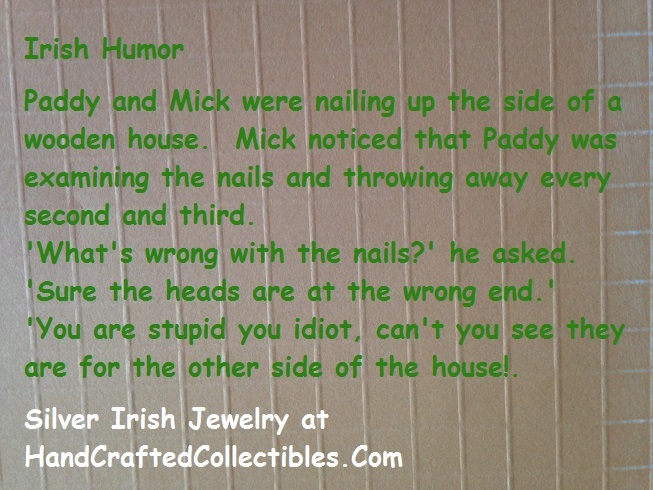 Mick noticed that Paddy was examining the nails and throwing away every second and third. “What’s wrong with the nails?” he asked. How can you tell is an Irishman is having a good time? He’s Dublin over with laughter!! 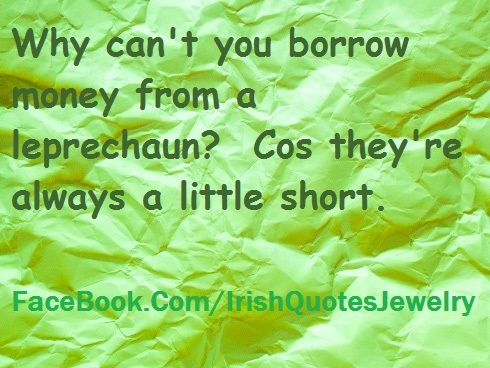 Why can you borrow money from a leprechaun? Cos they’re always a little short.